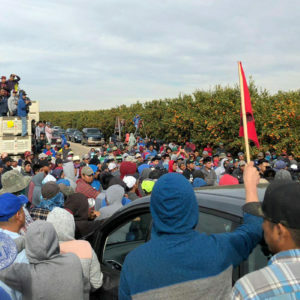 Political strategists could learn much from the work of farm communities who have fought racism and corporate control. With their sights now firmly trained on 2018, Democratic strategists and liberal pundits have an opportunity to re-think populism and redefine it to better include farmers and rural communities. Many Democrats still can’t figure out how to approach white rural residents, who are too often cast as irredeemable hillbillies responsible for the election of Donald Trump. While whiteness was the clearest predictor of a vote for Trump, it is rural and working-class whites who have been held responsible, as no one is suggesting giving up on well-off white suburban voters. Scapegoating leaves us at a standstill. It also ignores a rich history: In the 1980s, when rural life was rapidly becoming as bleak as it is today, a perfect storm of politics and economics hit middle America, in the form of the farm crisis. In response, white Midwestern farmers emerged at the forefront of resistance to the prevailing government agenda of privatization and deregulation, fighting white supremacist groups, and partnering with labor unions and Black politicians. Instead of demonizing the descendants of that rural-populist uprising, we need to ask: How did that happen and how can it happen again? Over 500 farms a week were lost through the ‘80s; the properties were sold to larger operations and families were forced to move from land they had farmed for generations. Without the engine of farm sales, Main Street businesses, farm-implement factories, schools, churches, and eventually whole towns dried up. Promised economic efficiency became on-the-ground desolation. Mental health advocates at the time suggested that farm loss was so emotionally and financially significant that it traumatized not only individual families, but entire rural communities, leaving swathes of the country with chronic long-term stress and depression. After losing both her farm and her husband in just three months, Oklahoma schoolteacher Mona Lee Brock became a farm crisis counselor, fielding tens of thousands of calls from desperate farmers. “A lot of them were in deep depression,” she said in an interview with filmmaker Charlie Thompson. Brock linked that depression to elevated rates of cancer, heart disease, and high blood pressure. “It was just breaking apart out there,” she added. Suicides, spousal abuse, and other violence spiked. Sound familiar? The farm movement, as it came to be known, eventually made national headlines, partnering with celebrities like Willie Nelson—whose Farm Aid concerts brought awareness and financial support—and politicians like Jesse Jackson, but its leaders and activists were homegrown. Groups like the Progressive Prairie Alliance, PrairieFire Rural Action, and the Iowa Farm Unity Coalition set up food pantries and held “know your rights” forums. They helped fiercely proud neighbors apply for government benefits and translated people’s experiences into legislative proposals. Farm wives like Lou Anne Kling and Linda Hessman taught themselves agricultural credit law to understand what was happening on their own farms and found themselves running ad hoc legal and crisis hotlines from their dining rooms. 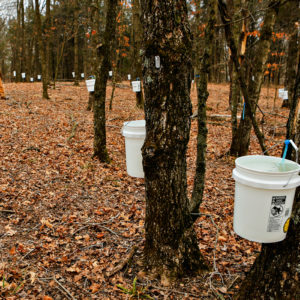 These groups also helped farmers see the connections among the federal policies that made them lose their farms and the erosion of local factory jobs and patterns of disinvestment in majority-Black cities. 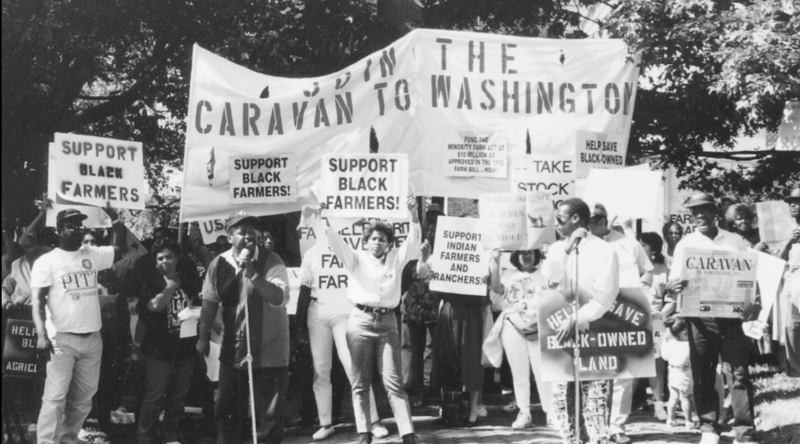 Some farm movement organizers built relationships with Black-led farm groups like the Federation of Southern Cooperatives and found allies in the Congressional Black Caucus. Their regular publications took a wide view of the crisis, emphasizing the hardship not only in the Midwest but across the South, where aggressive foreclosures were compounded by decades of rampant discrimination by the U.S. Department of Agriculture and Black land loss was many times the national average. As many as 150 farm groups had formed by the middle of the decade. Echoing the original populists—the left-wing, agrarian 1890s People’s Party—nearly all described themselves as “populist” and “progressive,” by which they meant favoring candidates and policies supportive of small family farmers. The 1988 presidential run of Jesse Jackson, another populist, catalyzed the movement. White farmers were an enthusiastic segment of his Rainbow Coalition and he developed his progressive farm platform in consultation with movement leaders. Many of his staunchest supporters in the Midwest had never met a Black man, but they knew he could talk about the farm crisis better than they could themselves. Meanwhile, the farm movement reinforced Jackson’s message in farmers’ lives. The direct services addressed immediate needs, while tractorcades and other creative protests, lawsuits, and the nationally televised Farm Aid concerts built national sympathy for farmers’ plight. The activists’ focus on federal policy meant that a farm bill returning economic power to family farmers very nearly passed Congress in 1987, and President Reagan, famously hostile to farmers for most of the decade, signed legislation later that year that stemmed the foreclosures and kept more families on their farms. Allison and Perry aren’t the only ones. There is a long history of grassroots, multi-issue, equity-based rural organizing in Minnesota, Iowa, and South Dakota, west to Colorado, Montana, and Oregon, and down to Kentucky and North Carolina, just for starters. These groups have simply been outgunned in recent decades as the right has focused on building a rural base while the left has concentrated in cities. Populism, claimed by both left and right in the 130 years since its coining, has leaned more decisively right in the last decade, espoused not only by the Tea Party and Donald Trump, but by leaders around the world such as Marine Le Pen and Narendra Modi. But in white rural America, where the idea began, it is ripe for reclaiming. The way to support a resurgence of progressive populism in the heartland isn’t to parachute in as saviors. 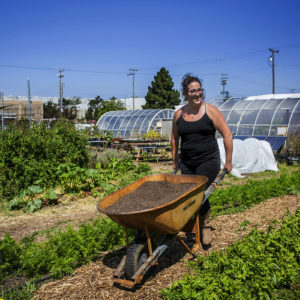 It is still, as the farm movement of the 1980s demonstrates, to take seriously the very real concerns there—poverty, drug epidemics, suicide—and invest in what’s already happening on the ground. In rural Missouri, Roger Allison says he and others have spent the last year, “fighting back, just like we always have.” Fighting back, ultimately, means addressing members’ needs and getting them involved in the solution, from opposing factory farms and organizing for rural health care to bringing rural and urban youth together at farm camp. It’s about time a lot more people did. Always insightful, Siena. However, I wonder if the real lesson here is to organize around inclusive issues like food and farming (my feeling is that buy local/ food sovereignty is one such issue to organize people around, and not rural or urban or suburban). The provocative idea around farmers markets in the 1970s and 1980s was the linkage of rural and urban through the activity of markets. That would also hold true in regards to issues such as the cost and production of energy and a few other pocketbook issues as it did when I was knocking on doors for Citizen Action in rural, suburban and urban Midwest from 86-96. Siena, thanks for article and for your clear intention to increase progressive (true and historic, not merely a euphemism for liberal) engagement in rural and agricultural America. While I completely support any attempt to increase collective-centered populism I think it also important to add context and perspective. If there is demonization occurring between urban and rural over the election of a man who clearly couldn't care less about any farm country people other than those corporately owned it is based upon inconvenient truths. Yes rural America was disproportionately responsible for the election but that was mostly because urban dwellers just didn't show up. Also, I think we should think and act a lot more towards a sustainable food system and the health and welfare of those on farms because they are inherently important and valuable NOT because they are somehow important electorally. I used work to increase the Native vote in the U.S. and the situation is similar here: the electoral reality is that, generally speaking, they are not electorally significant (in statewide and national elections). And the danger is that when we make it about that interest is ephemeral and disappears at the next election were the results are not close. It also teaches and model the wrong lesson - that their only importance is electoral. Picky, but it's *Marine* Le Pen. Does anyone do small group farm tours to allow farmers to directly address citizens who are concerned and want to interact with and directly support small farmers. The farmers get paid to spend time explaining how policy directly affects their operations, and the citizens can then talk to friends and write much more educated letters to congress people to demand change.